"Where [Bellinger] was at," manager Dave Roberts said, "[and] where the second baseman was at, it was kind of in no man's land, so you don't know if you're going to continue to sell out and get it or just give up on it and hope the second baseman has a enough time to get there. It's one of those tough plays and there's no right or wrong answer on that one." This Day in Dodgers History: In 1935 brothers Tony Cuccinello of the Dodgers and Al Cuccinello of the Giants hit home runs against each others team in the same game -- becoming the first brothers to have ever done so. The Brooklyn Dodgers won the game 14-4. Here's an important lesson why you should never count the Giants out. In 1951 the Dodgers swept the Giants in a three-game series to extend their lead to 7.5 games. Dodgers manager Chuck Dressen then declared, "We knocked 'em out. They won't bother us anymore." Of course, the Giants were not done and ended up taking the pennant away from the Dodgers when Bobby Thompson hit the "Shot Heard 'Round the World" later that year. In 1994 the game between the Dodgers and Expos is broadcast live in five languages (English, Spanish, French, Chinese and Korean) for the first time. Happy Birthday, Hank Thormahlen, Tommy Warren, Jim Baxes & Doug Bochtler! 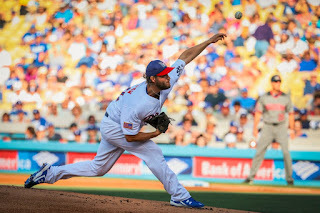 Cat Loves the Dodgers shares her fantastic pics from yesterdays July 4th game at Dodger Stadium. Go here to check them out. He's just a big lovable child... 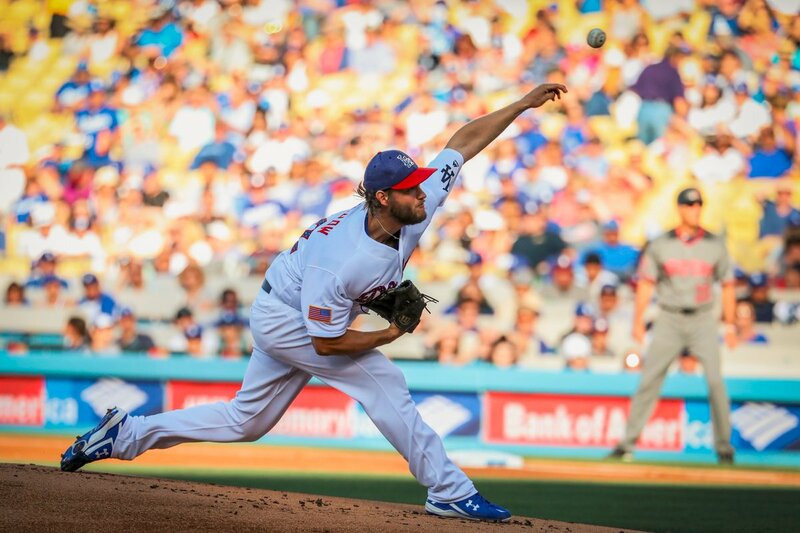 Per Liz Roscher at Big League Stew; "Clayton Kershaw loves fireworks, left postgame news conference early to watch them." ICYMI: Both Cody Bellinger and Kenley Jansen were named National League Rookie and Reliever of the month of June, respectively. Rowan Kavner at Dodger Insider tells us all about it, here. I'm sure most of you knew this already. Per Chad Thornburg at MLB.com; "Bellinger and pitching dad headed to HR Derby." This is coming up on Friday. Per Patrick Cavanaugh at ComicBook.com; "Star Wars: The Last Jedi Director To Throw First Pitch At Dodgers Game." Star Wars night at @Dodgers Stadium is 7/7 & I’m throwing out the first pitch. Legit more nervous about this than the premiere of the movie. 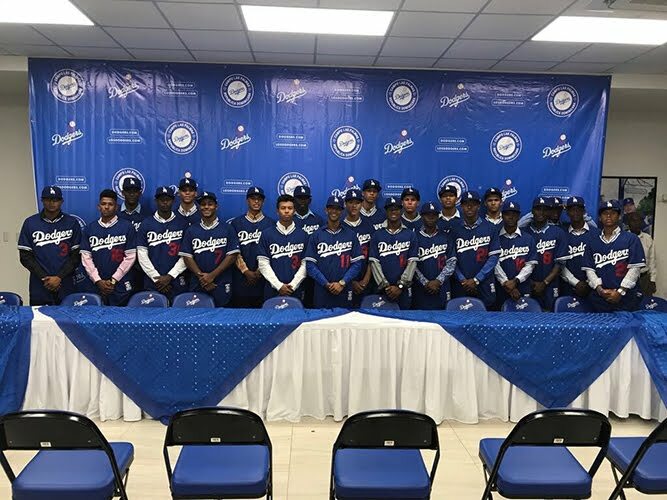 BTW, the Dodgers signed a whole bunch of international prospects a couple days ago as part of the leagues opening of the international signing period -- 26 players were signed in total. Both Dustin Nosler at Dodgers Digest and Eric Stephen at True Blue LA provide some background on several of the kid we signed. Below is a group photo of the new Dodger youngsters, pic via the Dodgers.